Andrea Miller, PDA National Deputy Field Director & co-chair of PDA ERA 3 State Strategy Team, announced their partnership with We Are Woman and ERA Action at the Progressive Democrats of America Round Table in Washington, DC. We are thrilled to have PDA on board! 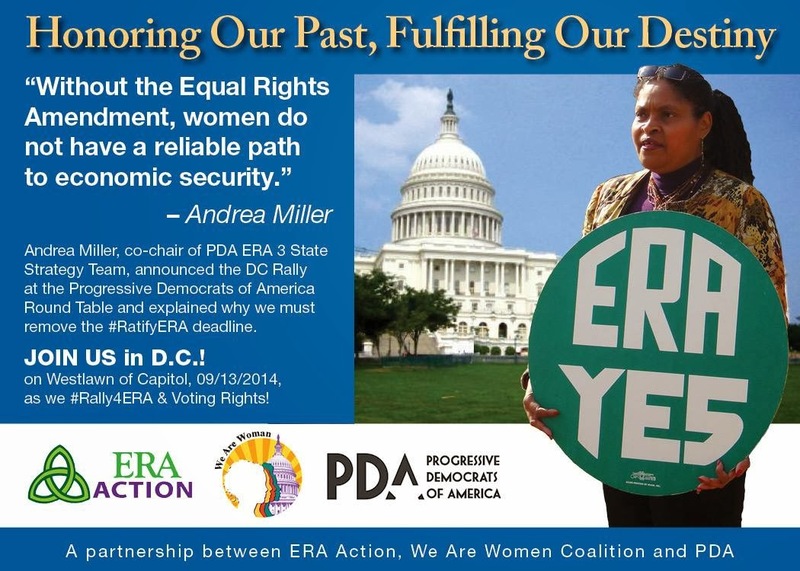 Listen to Andrea's announcement & why we must remove the 'Ratify ERA' deadline.